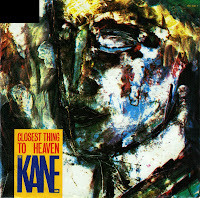 The Kane Gang recorded and released 'Closest thing to heaven' in 1984. I never heard a song any better than this from them, although initially I only knew the single version. This 12" version is slightly longer and adds a little extra to what's already quite a perfect song. What a difference, though, with the B-side: two throwaway tracks that you are better off not listening to. 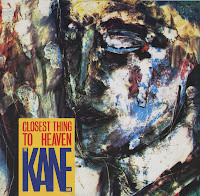 In 1984, the Kane Gang released 'Closest thing to heaven', arguably the most beautiful song of their career. It was certainly their most successful: it reached number 12 in the UK singles chart during an 11 week chart run. In the Netherlands, the single didn't reach the Dutch Top 40. I waited two years and then bought the single for almost nothing. Martin Brammer, Paul Woods and Dave Brewis met in 1982 and formed the trio The Kane Gang, naming themselves after the movie 'Citizen Kane'. 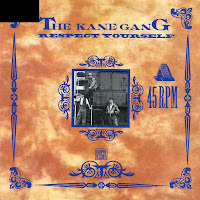 They signed a record deal in 1983 and released their debut album 'Bad and lowdown world of the Kane Gang' in 1984.